Gold is available in several different colors most popular are: yellow, white and rose. What is the difference between yellow gold and rose gold engagement rings? The alloys that are most commonly added to create yellow gold are silver, copper and zinc. Rose gold known as pink or red gold is a pure gold and copper. 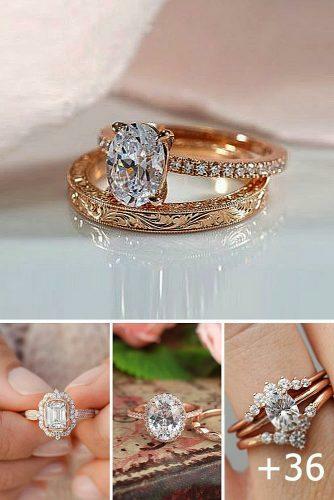 Rose gold diamond engagement rings have a feminine and romantic look. These rings is a fantastic choice for people with warm and cooler skin tones. Rose gold engagement ring might be a great choice. You’ll like it!